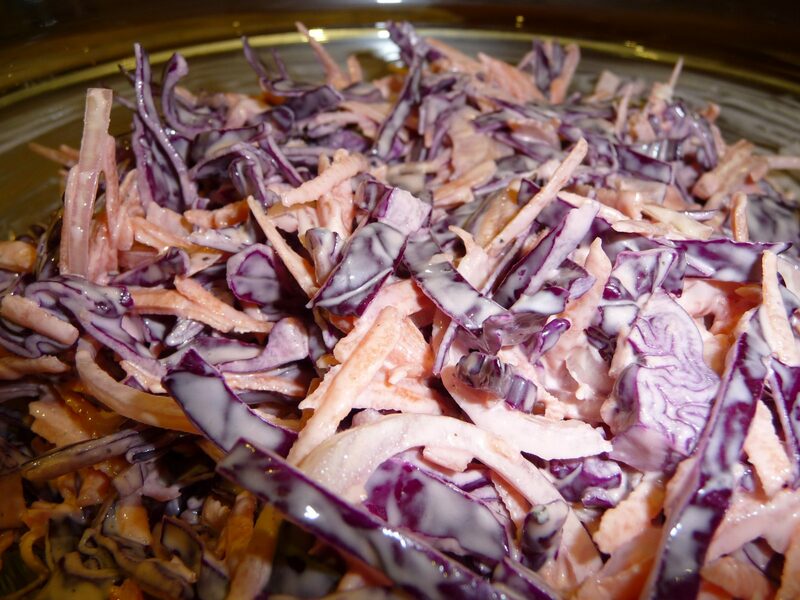 I first tasted coleslaw made with red cabbage at Cowslip Workshops near Launceston. I like the way the dressing takes on a pinky hue and I now prefer using red cabbage to white. It’s difficult to give exact quantities as it depends on the size of all the vegetables and whether or not you like certain ingredients to be prominent flavours but make as much as you need! Mix the prepared vegetables before adding a dressing made with equal amounts of mayonnaise and plain yoghurt and toss well to combine thoroughly. Season to taste and serve. If the mood takes you, add other ingredients such as diced apple, sunflower or pumpkin seeds or chopped cashew nuts.